Are you looking for fun and meaningful activities to do with your students around Halloween? The activities in this product allow students to work together in small groups to study a pumpkin while learning about math, language, and writing! 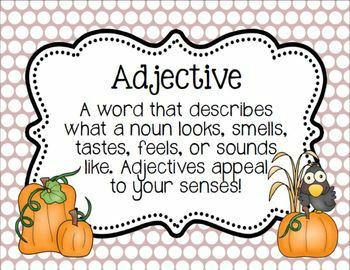 *Our Pumpkin Is.... Activity- Students will describe their group's pumpkin using their five senses. They will describe what it looks, sounds, smells, feels, and tastes like. 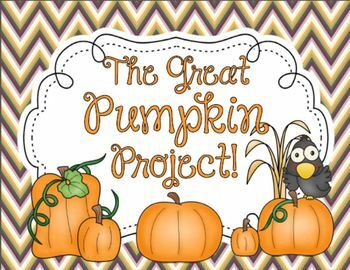 *Pumpkin Measuring- Students will work in small groups to measure their pumpkin in several ways. They will measure the weight and circumference of their pumpkin and then make a prediction about the number of seeds they think it has. After scooping out the pumpkin, students will count the seeds and compare the actual amount to their estimate. They will find the difference between these two numbers and the weight of the pumpkin before and after being scooped out. 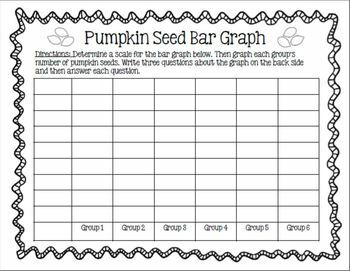 *Pumpkin Seed Bar Graph- Groups will share the amount of seeds their pumpkin had while everyone records the number and graphs the data on a bar graph. Students have to decide the scale for the graph and then write and answer three questions about the graph. 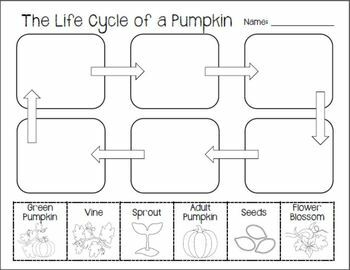 *Life Cycle of a Pumpkin- A book list, poster of the entire life cycle of a pumpkin, individual posters of the stages in the life cycle of a pumpkin, and cut-and-paste sequencing activity are included. *Informational Writing- Life Cycle of a Pumpkin- Students will create their own non-fiction book about the life cycle of a pumpkin. The non-fiction book includes a table of contents, page for each stage of the life cycle, and illustration box for each page. Booklets can be made by printing the pages double sided, folding down the middle, and stapling. Students LOVE making these! Thanks so much for checking this item out! Be sure to download the product preview for more views of the contents. Let me know if you have any questions!